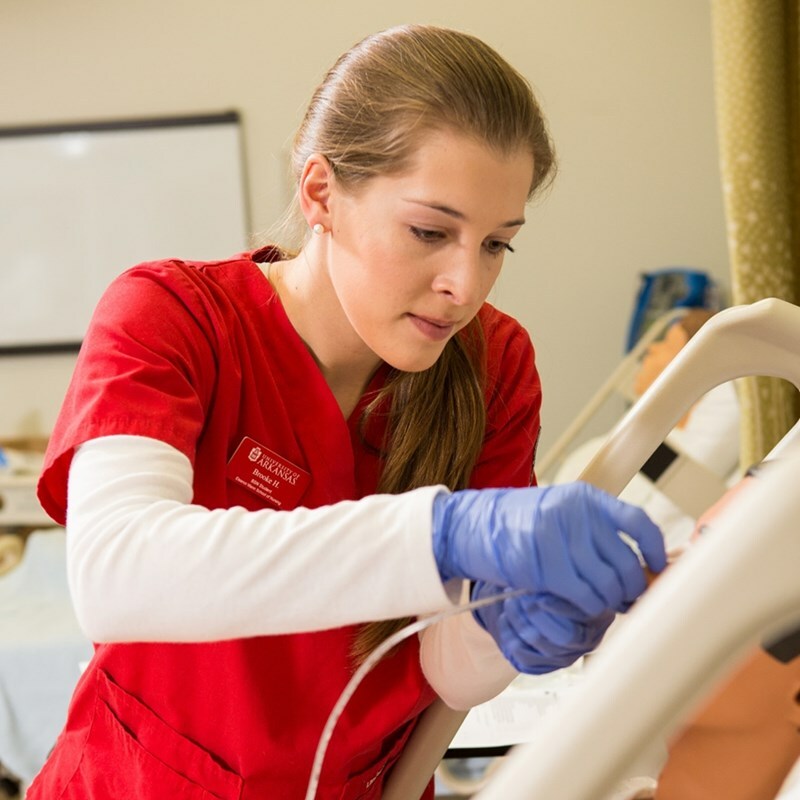 The Lawrence H. Schmieding Advance Arkansas Endowed Scholarship in Nursing will benefit students from Benton and Washington counties. FAYETTEVILLE, Ark. – The Schmieding Foundation of Springdale has made a $40,000 commitment to Campaign Arkansas to support students in the Eleanor Mann School of Nursing in the College of Education and Health Professions at the University of Arkansas. The foundation’s gift will be matched with another $40,000 from the Robert M. and Bonnie J. Jones Family Trust, in honor of Ann Dorman Cooper, for a total endowment of $80,000. Gilda Underwood, president of the Schmieding Foundation, said she felt the scholarship would be a great honor for Lawrence Schmieding, the foundation’s namesake, because he understood the importance of finding quality caregivers for aging or ill family members. Schmieding passed away in 2009, and the scholarship has been named the Lawrence H. Schmieding Advance Arkansas Endowed Scholarship in Nursing in his memory. The Lawrence H. Schmieding Advance Arkansas Endowed Scholarship in Nursing will specifically benefit nursing students from Washington and Benton Counties who have completed their freshman and sophomore years as full-time students at the U of A. As with all Advance Arkansas scholarships, students who exhibit financial need, have records of academic success and demonstrate a strong desire to complete their degree at the university are eligible. Additional gifts associated with the Schmieding name on the university’s campus include fellowships for research in education and in arts and sciences. Lawrence Schmieding was also a member of the university’s Campaign for the Twenty-First Century steering committee, Towers of Old Main and an annual member of the Arkansas Alumni Association. About the Eleanor Mann School of Nursing: The Eleanor Mann School of Nursing offers a Doctor of Nursing Practice online, a Master of Science in Nursing online and an R.N. to B.S.N. degree-completion program online as well as an on-campus Bachelor of Science in Nursing degree. The nursing school is located in the Epley Center for Health Professions, a facility that opened in 2012 with five high-fidelity simulation labs in which mannequins simulate patient conditions and offer scenarios for nursing students to address.